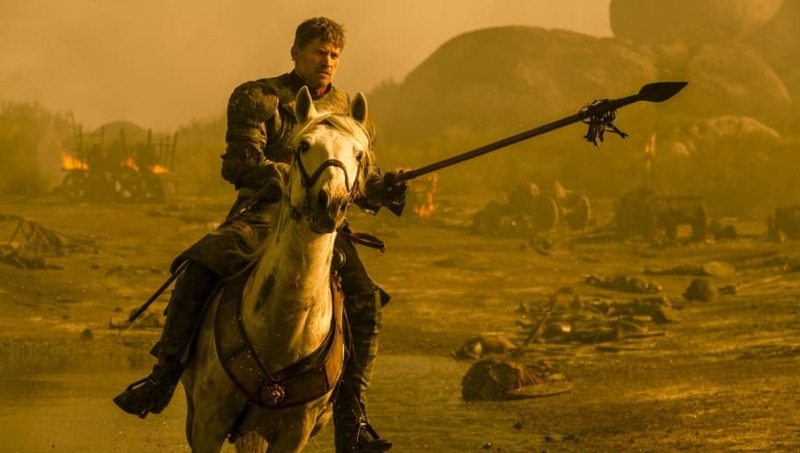 ​We don't even know what year "Game of Thrones" will come back for its eighth and final season, but that's not stopping fans from guessing at what they think will happen. ​Redditor Phillip-Jacobs had a short simple post, but they may have stumbled into the most plausible theory we've heard yet. We're all pretty sure that Jaime Lannister won't make it to the end of the series. It's not a death anyone is looking forward to. Though he's done some despicable things over the course of the series, he's since redeemed himself and become one of fans' favorite characters. That means he's probably doomed. George R.R. Martin has said to expect a "bittersweet ending" from the series and Phillip-Jacobs' theory fits that bill perfectly. "I think Jaime is destined to die defending Bran from the White Walkers in the final battle. It would be a perfect circle from the first episode..." the Redditor writes. We're a long ways off from finding out for sure, but that sure sounds like exactly what's going to happen. The first thing we see Jaime do is push Bran out a window, disabling him for life. It would only be fitting for his last action of the series be to save Bran's life. One commenter also points out Jaime's nickname. He's the Kingslayer. Its entirely possible that Jaime will save Bran from the Night King, deliver the killing blow and get mortally wounded in the process. It's poetic, heroic and heartbreaking. Exactly like something George R.R. Martin would write.